We are very pleased to announce our latest cooperation with MicaSense. MicaSense redefines remote sensing technology and pioneers the extraction of spatial data with its sensors. Together with many years of experience in sensor technology in the UAV sector, this makes them the ideal partner for our product portfolio. The MicaSense RedEdge-M is now available as a payload option for the Trinity! 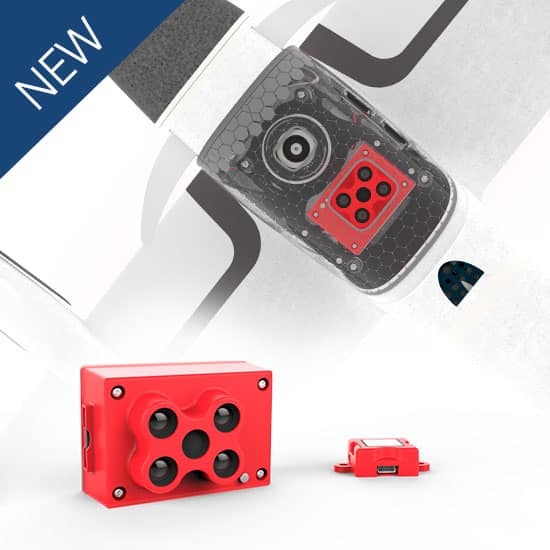 The RedEdge-M is outstanding powerful and at the same time a very compact camera ideal for our VTOL UAVs Tron & Trinity. It simultaneously captures five narrow spectral bands and uses the change in reflectance of plants in the border between red and near infrared spectrum, the so called red-edge. The global shutter design creates distortion-free images on every platform. With the RedEdge-M the user is not only able to determine conventional vegetation indices like NDVI, NDRE or SAVI but can also draw conclusions about crop health through the additional rededge band. That provides a more accurate measure of not just plant vigor but plant health. With these capabilities, it provides accurate multiband data for for wide-ranging agricultural remote sensing. The RedEdge-M as payload option is now available at our resellers.